Enhance your collegiate experience by joining a Greek organization. The Greek community at UNO is comprised of diverse groups of fraternities and sororities that offer a lifetime of opportunities for friendship, community service, leadership and scholarship. All students are welcomed. Greek organizations at UNO are involved in all kinds of different events in and around the UNO community. Learn how you can join a Greek organization at UNO. 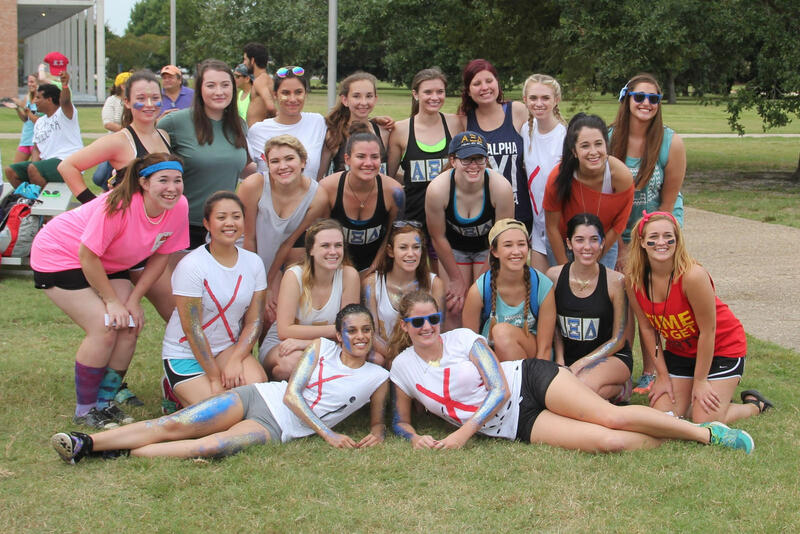 The Greek community at the University of New Orleans is comprised of diverse groups of fraternities and sororities. These organizations offer all students the chance to find a group that matches their values and personalities. Fraternities and sororities offer lifetime opportunities for friendship, service to the community, leadership, and scholarship. UNO recognizes twelve Greek organizations — seven sororities and eight fraternities — each of which is a campus chapter of a national group. Regardless of the fraternity or sorority a student chooses, membership in a Greek organization will enhance the collegiate experience. UNO’s Greek community invites all students interested in joining a fraternity or sorority to participate in the membership recruitment or membership intake process. Dates of these events are available in the Greek Life office and on the Greek Life website. We invite you to learn about the Greek community at the University of New Orleans. The best place to start is the Information page where you can get an overview of fraternity and sorority life, learn about the types of fraternities and sororities at UNO, read some fast facts about Greek membership, and find information for parents of students considering joining a Greek organization.